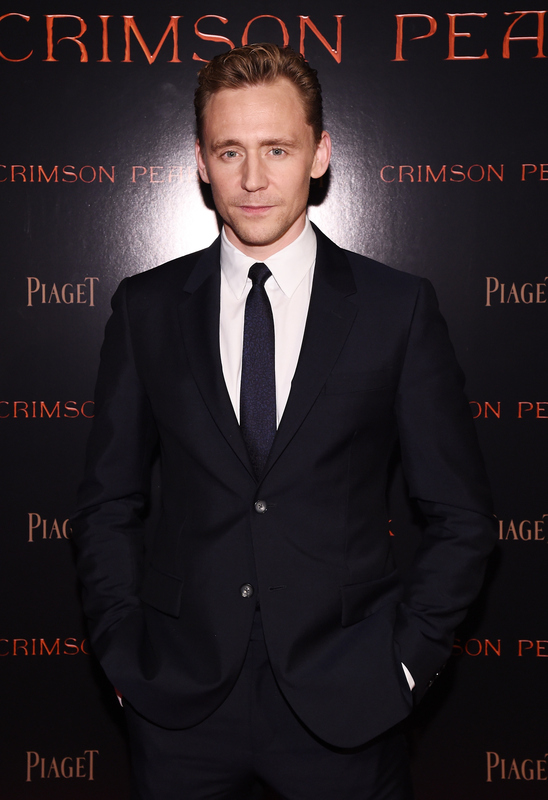 It’s been a good year for Tom Hiddleston: Not only has the actor starred in four movies in 2015, but he’s been hard at work on even more that are scheduled to be released in 2016. And, on top of that, there have been a lot of rumors about who Hiddleston is dating this year. And hey, it makes sense: if there’s one thing the media loves more than Hiddleston, it’s a rumor about whom he might be dating. Maybe it’s because the camera just totally loves this guy, but it seems like Hiddleston can’t step out of the house without someone wanting to link him with some other actress or love interest popping up. And by "someone," I mean "me," because there is nothing I enjoy more than speculating on how cute Hiddleston would be with the various co-stars he's been spotted with. After all, the man is at the height of his career: He's been taking on roles that are more impressive than ever ,and winning over the hearts of fans everywhere. Just one look at this guy’s wavy locks or one listen to him talking about wanting to only date strong women, and you’d be matching him up with every co-star he's seen with too. So, who was he getting close to in 2015? What better way is there to bond than to work toward something together? That’s what Hiddleston and Chastain did when they threw the worst party ever for MTV — but I think there is something more than just shared laughs between co-stars. All that fun makes it seem like they could make the most adorable couple to me. The costars clung tightly to each other at the Crimson Peak photo call in Rome, making me wish that Wasikowska and Hiddleston were OTP 5ever. Moss got super friendly super fast when talking about her High-Rise costar, and told MTV that Hiddleston is good at everything. You don’t say? Tell us more. Apparently, Moss thinks Tom Hiddleston is charming and talented and incredibly handsome, kind of like the rest of us. Get in line, girl. The two re-created a scene from the original Bonnie and Clyde for a photo shoot on Hollywood’s British invasion, but I think they’re looking awfully cozy in that car together, don’t you? There you have it, Hiddlestoners. All the women in Hollywood that you had to contend with this year. If you’re wondering when Hiddles will ever realize that it’s your that is the most worthy of his attention, I’m holding my breath that 2016 is the year for all of us.